Mix Contemporary furniture with antiques. It’s exciting when you get chance to furnish your home. We often help customers mix classic and contemporary looks to create something to make a home individual. 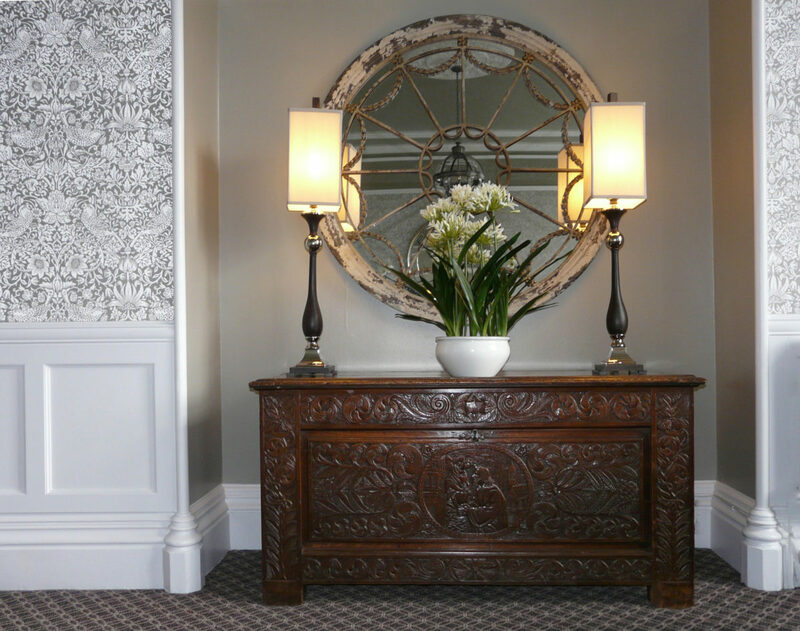 At the same time, we’ve also been selling antiques for over 125 years. The two are not mutually exclusive, with many customers blending antique furniture with classic and contemporary sofas, chairs and accessories. There’s a real art to getting it right – that goes for creating any look in a room. It’s all about balance and scale, textures and colour. 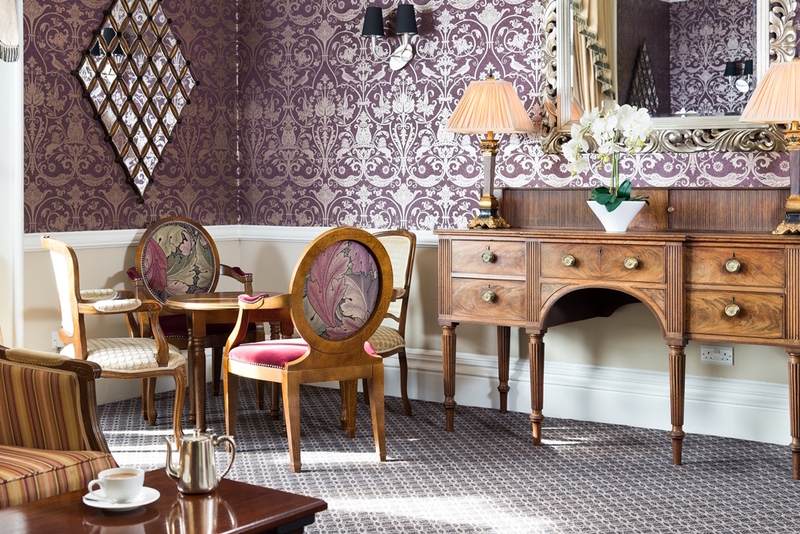 The lounges at Lyzzick Hall are an elegant example of how combining antiques with modern furnishings really does work well. The purple themed lounge features a mahogany side board from the late Georgian era – probably around 1810. The fine reeding on the front panels and the legs is emulated on the modern gold effect lamps. To complete the look, reproduction balloon back chairs are upholstered in purple and contrasting gold fabrics. In the other lounge, there is this fantastic cobweb mirror, sitting proudly above a Spanish walnut coffer. The coffer is late 17th century and was chosen for this room because of its scale and intricate carving. This modern mirror adds texture, reflects plenty of light and fills the space with good proportions. Mirrors are something we have lots of – in every shape and size. If you haven’t been in to see us – come and explore the 7,000+sq ft. of showroom space!